Fewer than 10 percent of older women who freeze some of their eggs as insurance against age-related declines in fertility eventually use them to try to get pregnant, new research shows. The study included 563 women who had eggs frozen between 2009 and 2017 at a large European fertility center. On average, the women were 36 years old. Only 7.6 percent of those women have returned to thaw their eggs and try to get pregnant, according to the study. Of those, only one-third have succeeded. 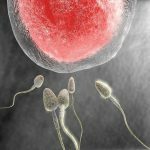 The study was presented Tuesday at the annual meeting of the European Society of Human Reproduction and Embryology (ESHRE), in Barcelona, Spain. Most of the women who did not return to thaw their eggs had found a partner with whom to pursue motherhood, according to study author Michel De Vos, of the Brussels Center for Reproductive Medicine in Belgium. He said that a growing number of older women in the United States and Europe are having their eggs frozen, but those over age 35 need to have realistic expectations. “Egg quality declines markedly with age, and success rates will be lower than 33 percent in women freezing their eggs beyond this age,” he said in an ESHRE news release. Research presented at meetings is typically considered preliminary until it is published in a peer-reviewed journal. Your Fertility has more on age and female fertility.